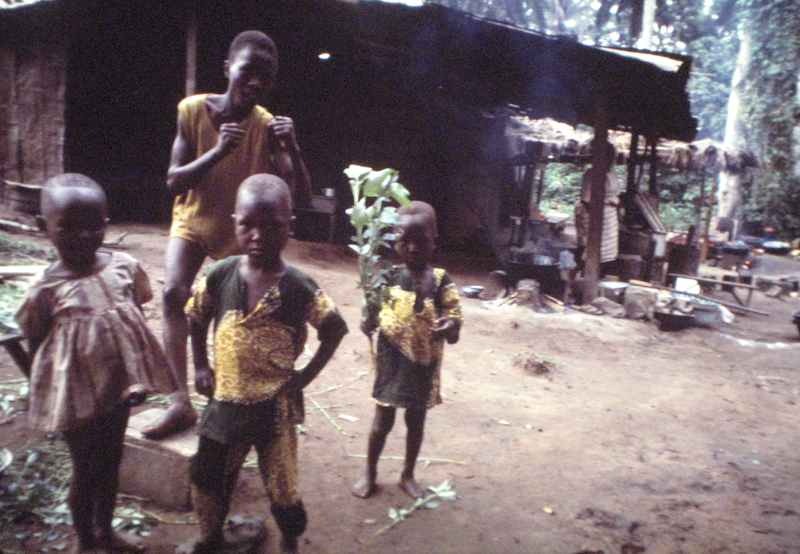 Kids at an outdoor cafe at Ile-Ife University, Nigeria, 1976. Dad (who took this picture) would walk to work each day on paths past this cafe. The university had a large parcel of land that included the school building, housing, fields, jungle, shopping etc.. This cafe was on the way to work, taking paths through the jungle. The jungle parts were fairly small areas in between one set of new buildings and another. See a photo of the cook at the restaurant. Photos copyright Bill Hunter, no use permitted without express written consent.